You might have seen a few documentaries and movies regarding Anunnaki but you might want to check this one. The Anunnaki- Mensageiros do Vento is the first alternative history rock opera cartoon that was made by the Brazilian rock band Mensageiros do Vento or Messengers of the wind in English. This miniseries is based on the translation from the ancient clay tablet that was discovered in the ruins of Sumer, believed to be the cradle of the human civilization. Did we mention it has English subtitles? 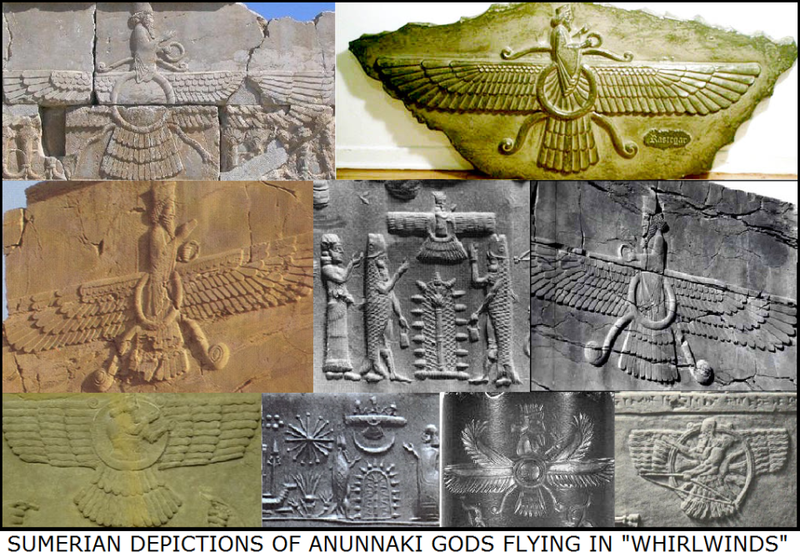 The ancient Sumerian texts introduced Anunnaki as "those who came down from the heaven." A creature of great power and advanced beings that made the humans' hundreds of thousands of years ago. Zecharia Sitchin, an Anunnaki specialist did the drawings for ANUNNAKI – Mensageiros do Vento and it debuts with the summoning of Endubsar "Master scribe, the son of Eridu City and servant of the Lord Enki, great god." Endubsar wrote down the whole history of the Anunnaki's for forty days and forty nights in cuneiform and Enki retold it. Based on the Genesis story, the 12th planet which is known as Nibiru that was inhabited by humanoid that is very identical to humans. After their life was endangered on their home planet by major volcanic eruptions, the stress on their society became as big as the volcanoes themselves. A small group was sent on a search all over the solar system hoping to discover the cure for their doomed world. Luckily, fortune smiled on them and the Anunnaki discovered Earth or Ki as how they call it. The air was breathable, a very fair weather and the resources flourished. Especially gold. When Nibiru reached the orbit of the Earth about 432,000 BC, the Nibiruans used spaceships to send their people and imported goods from their planet to Earth. As soon as they reached the ground, the advanced beings settled their bases in the ancient Mesopotamia. In memory of the biggest metropolis on Nibiru, the Anunnaki made Eridu, their very first outpost on Earth and was the real "Eden" as some would claim. To be able to mine precious metals, gold mines were created in Southern Africa where they discovered rich gold deposits. Due to the nature of work being a miner doesn't fit the Nibiruan masters, the Anunnaki people were sent to do the work. They were treated like slaves, they represented the working member of their society, even though their physical and mental features were thought overwhelming even by our current modern human standards. Due to their superior traits, the Anunnaki soon renounced against their superiors and asked them to make an inferior being to do their job instead. Their leaders deliberated and eventually decided that a lesser being is needed for this kind of job and so they engineered a new life form by joining their own genes with the most evolve primates that lived the Earth at that time which was possibly the Australopithecus. At first, the Leaders Enki and Ninmah created creatures with overwhelming strength and size that helped the Anunnaki to work on Earth, aiding them to extract gold. It may sound perfect but they can't reproduce, so the so-called 'gods' had to constantly make a lot of them to keep the mining process up to the desired quantity. As time passed, both Enki and Ninmah were able to make a few beings until they were able to get the desired goal. After all their work, the final product of their joined knowledge was able to talk and could produce their own offspring, this is how the first human appeared in the form of the Homo Erectus. At the same time, the Anunnaki stayed on Earth to take care of the gold mines and the so-called slaves exactly as they were ordered by the 'gods.' 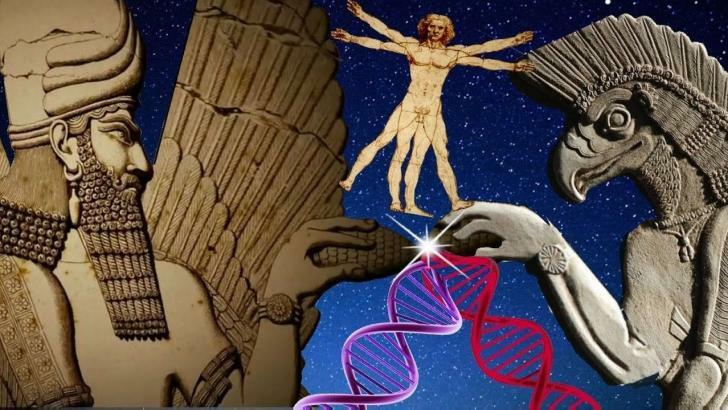 Because some human features were also found of those of the Anunnaki, the humans were made in their image and in the course of time, they began to fight over earthly desires. The slaves took advantage of the event and created an alliance and they overturned their masters like what the Anunnaki once did. A lot of them were able to flee the mines and eventually settled as free people in other parts of the world, living their own lives as described in many ancient texts. 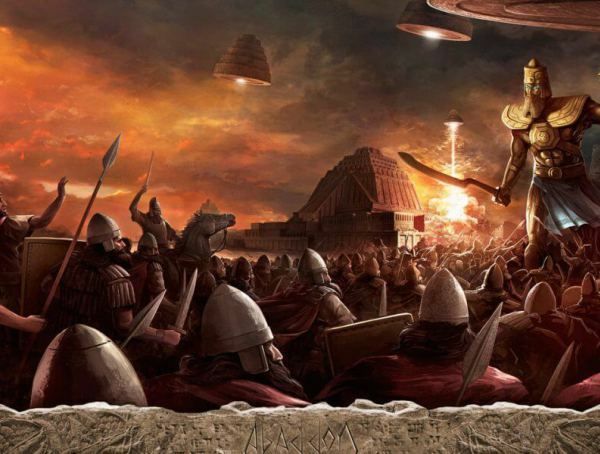 3,600 years past and once again the leaders of the Anunnaki came back to Earth and they were very unhappy when they witnessed the situation was out of control. They punished the Anunnaki to work at the mines again. In the course of their short stay on Earth, the masters did more experiments in order to make a more cultured race of workers. They created Homo Habilis and Homo Erectus up until they were able to create a race that is able to talk, speak and reproduce themselves and so Man was created known as Homo Sapiens.